Handyman Hanging & Wall Mounting RM Romford | Quality Property Care Ltd. Enjoy the expert property improvement and repair services in Romford RM, call 020 3746 4287 and ask for our professional handyman services in Romford RM. 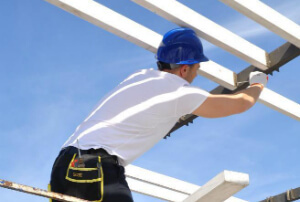 Specify your needs and we will send a tradesman to aid you however he can. Our Quality Property Care Ltd. handyman can also do basic and more intricate plumbing for homes, offices and rented properties alike. For house owners we can fix dripping pipes and taps, repair toilets and flushing cisterns, unblocking toilets and pipes, deal with the plumbing in kitchen and baths, installing washing machines, replacing taps and washers as well as bleeding radiators. For commercial and office spaces our handyman can deal with water damage and leaks, unblock urinals, toilet installation. You can now also set up a maintenance profile for ordinary visits with our handyman, that way he can stay on top of the situation without a hassle. Hired spaces we can deal with replacing basins and sinks, replacing waste disposal units or macerators, re-sealing baths and shower trays all of this with a assured satisfaction of a timely repair. Decorating And Painting – including tiling, plastering and skimming, sealing/ grouting, wallboarding, etc. Odd jobs – basic tasks that anybody can do but does not have the time or has other restrictions. All of Quality Property Care Ltd. handymen are multi skilled, capable of completing tasks ranging from electrical rewiring to simple domestic plumbing, light bulb changing, interior and exterior decoration work, kitchen fitting, bathroom fixture removal and set up, flat pack assembly, general improvements around your office and house, hanging of paintings, doorways and windows. We also have tradesmen expert in different fields like domestic plumbing, electrical, carpentry, painting, decoration and fitting of bathrooms and kitchen areas. All of these professional hands are a quick phone call away, dial 020 3746 4287, it’s that easy. We generally work in any environment, from domestic to corporate, restaurants, hotels, pubs and bars, cinemas, motels, offices, libraries, public areas and we have weekend and holiday availability. The handyman services are hourly based, but in some scenarios for more elaborated jobs or combined services you can arrange half day or entire day handyman deals. All you need to do is call 020 3746 4287 or send an online booking request, and you will receive verification via sms and email as soon as possible. No deposit is required, and you will pay for the labour for the hours booked after the handyman is done!